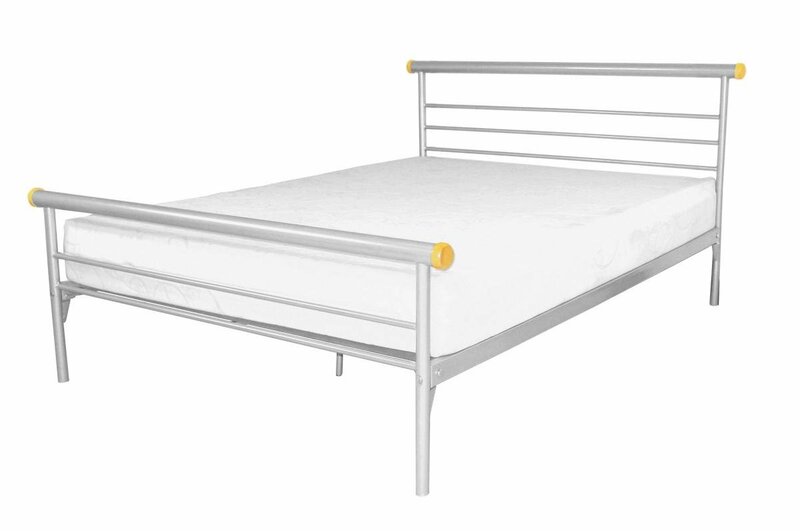 A simple, modern and unimposing Bed design, the Celine Double Bed is perfect for any smaller or neutral room d�cor. With the thin bed design giving the illusion of space, silver finish and wooden End Caps adding an extra detail or style, this bed is deceptively stylish and practical. Also available in Double and King for any sized bedrooms.